Telomeres are short fragments of DNA found at the ends of eukaryotic chromosomes. It caps the ends of chromosomes to protect them during cellular division. Telomere... a Fountain of Youth? Multi-awarded scientist Elizabeth Blackburn, her student Carol W. Greider and fellow scientist Jack Szostak grabbed the 2009 Nobel Prize in Physiology or Medicine for their discovery of telomeres and the enzyme telomerase. Most if not all the processes that take place in our body is controlled by our genes. The collection of all our genes is called our genome. This genome is contained in our chromosomes which are made up of different DNA molecules. During the 1930s, Nobel Prize winners Hermann Muller and Barbara McClintock observed that chromosomes are prevented from attaching to each other by a structure found at the ends of the chromosomes, the so-called telomeres. They thought that the telomeres have protective roles in the chromosome but its manner of action was still unknown. In the 1950s, when scientists started to learn how genes are copied, a lot more questions were raised concerning the existence of the so-called telomere. During the process of DNA replication, all the bases that make up the DNA are copied one by one to create an exact DNA duplicate. But at the end of the chromosomes, the very end of the strands is not copied. In 1973, the Soviet scientist Alexey Olovnikov then predicted the existence of telomere shortening. This mechanism states that the very end of the chromosomes, the so-called telomere, is the one that is not copied during cell division. This means that the telomere shortens progressively during cellular division. Dr. Elizabeth Blackburn is a professor of Physiology and Biology in the Department of Biochemistry at the University of California. She was the president of American Society for Cell Biology in 1998. She was also a fellow of the American Academy of Arts and Sciences in 1991; fellow of the Royal Society of London in 1992; fellow of American Academy of Microbiology in 1993 and the American Association for the Advancement of Science in 2000. In Dr. Blackburn’s research, she identified a DNA sequence that was repeated several times at the very end of the chromosome of the unicellular organism Tetrahymena. 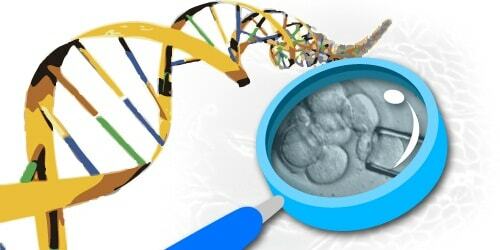 During the same time, unaware of the research of their fellow scientists, Jack Szostak observed that a DNA molecule which is a type of minichromosome is quickly degraded when introduced into yeast cells. Jack Szostak made pioneering contributions in genetics especially in the field of chromosomal recombination. In 1980, Blackburn presented the results of her research regarding Tetrahymena at a conference which Jack Szostak also attended. Together, they launched another ground breaking experiment that crossed the boundaries between two distant species. Blackburn isolated her DNA sequence from Tetrahymena, they coupled it with the minichromosomes of Szostak and introduced them into the yeast cells. Surprisingly, the minichromosomes were not degraded by the yeast cells due to the DNA sequence from Tetrahymena. This result showed a fundamental mechanism involving telomeres that were previously unrecognized. Carol Greider, a graduate student, along with her supervisor Blackburn initiated a pioneer study to find out if the formation of telomeres is due to an enzyme. In December 1984, Greider and Blackburn were able to purify the enzyme that can extend the length of telomeres and they named it telomerase. Telomeres are short, dense fragments of DNA that can be found at the end of the chromosomes. Telomeres do not contain genes. Their main function is to form a protective molecular cap that will serve as the defence of the chromosomes during cellular division. You must keep in mind that during cellular division, genetic materials are replicated so that the same sets of genetic materials are present in the resulting daughter cells. This process entails division and replication of chromosomes, and this is where the protective mechanism of the telomeres comes into play. During repeated cellular division, the length of the telomeres shortens progressively. This mechanism is known as telomere shortening. The problem arises when the length of the telomere becomes too short for further cellular divisions. In such a case, cellular division is inhibited and senescence or cellular death takes place. Thanks to the advent of the enzyme telomerase, telomere shortening can now be inhibited. Telomerase is an enzyme made of protein that protects against telomere shortening by forming telomere caps at the ends of the chromosomes. Telomerase allows for replacement of the short bits of telomeres which are progressively shortened by a continuous cellular division. Without telomerase, chromosomes will eventually reach a limit inhibiting it from further cellular division but with telomerase, the lost telomeres can be replaced and the cells can divide limitlessly. According to some scientists, aging comes with progressive telomere shortening. This is due to the concept that if telomeres reach their limit which inhibits them from dividing, cellular death ensues. And due to the discovery of telomerase, a lot of studies are now being conducted on the possibility of preventing the process of aging with the use of the enzyme telomerase. But a problem arises due to telomerase’s tumorogenetic properties. It can cause growth of cancer cells, which instead of delaying aging; can cause the death of an organism. Cancer cells are considered immortal due to their telomerase activity. Since telomerase promotes cellular division, it can be the mechanism behind cancer cells. Due to this mechanism, a telomerase-inhibiting treatment was proposed as an answer to cancer. Experimental, telomerase-targeted drugs are now being developed to be potential cures to cancer.